The Winner and Five Favourites. 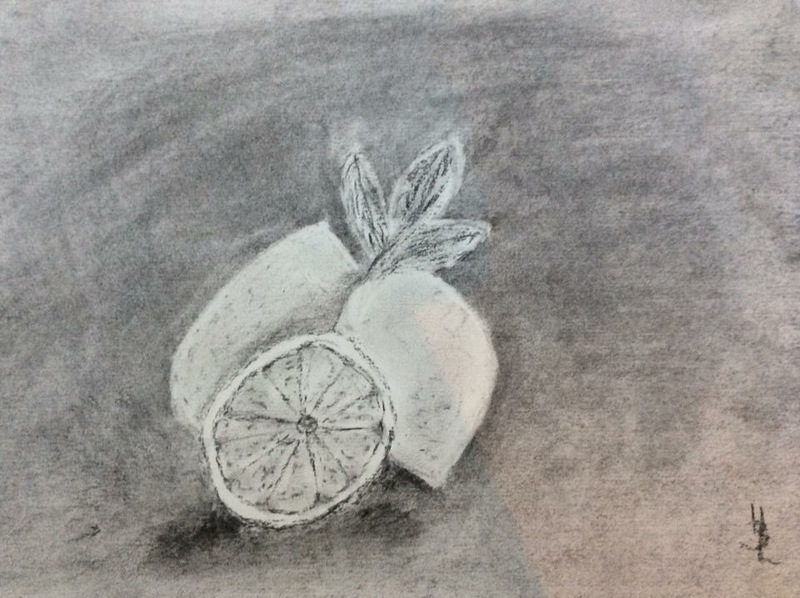 Lemon in Charcoal Competition. Wow! It turned out that you just needed a little time. 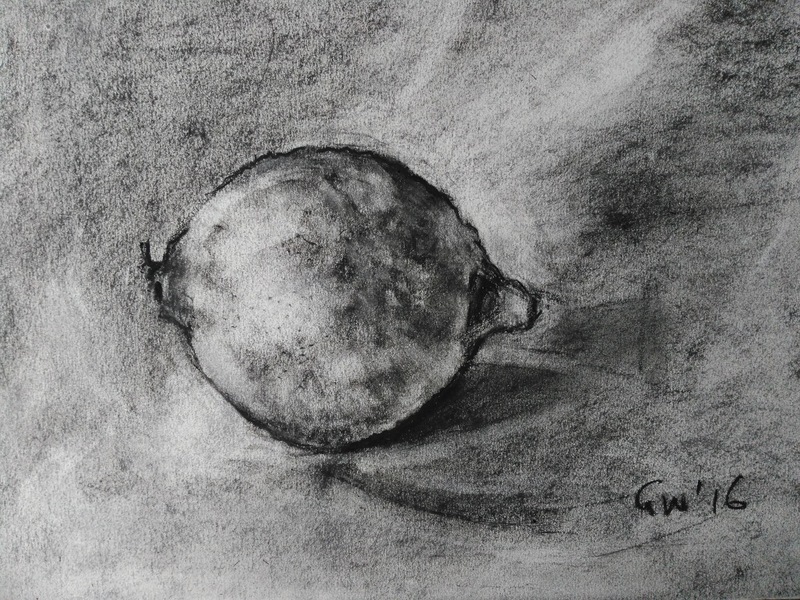 I was overwhelmed by the number and quality of entries for the “Lemon in Charcoal” competition. It gave me such joy to watch the entries coming in. Thank you so much to all those who entered and put their energy and time into it. I hope it was just as fun for you as it was for me. It certainly looks like it from the entries and comments that I have received. You can see all 30 entries via the Sketchout Facebook page. 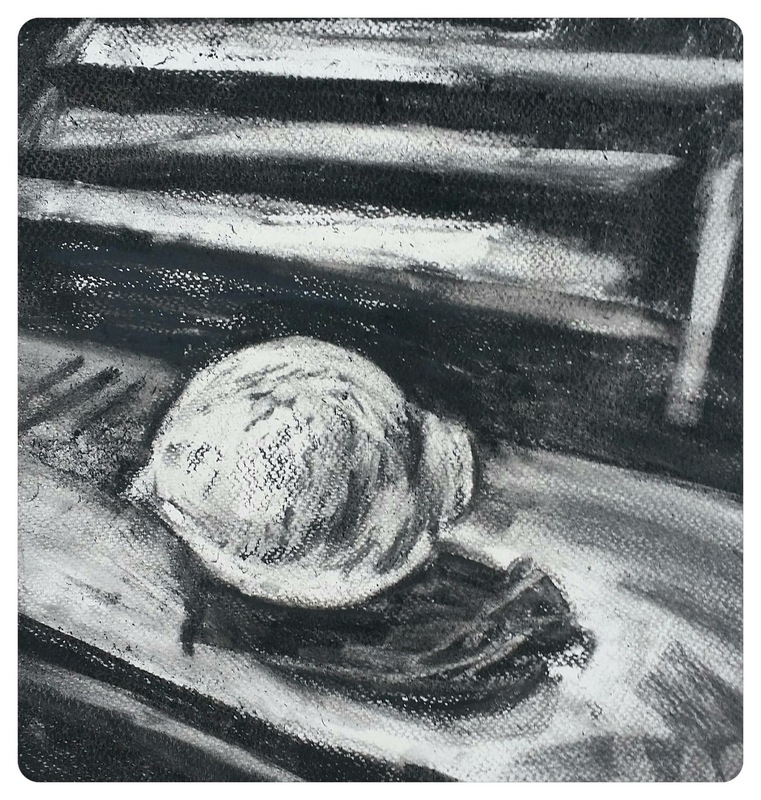 Just look for “Lemon in Charcoal” competition album. Graham Walker with this fantastic effort. I chose this as the winner because I was impressed by the volume that Graham managed to capture. I think it looks so real, and the lighting reminds me of one of those Dutch master paintings. It’s subtle and beautiful, with great contrast and fine edges. Graham has won a voucher to attend the Sketchout workshop of his choice. Below are 5 of my other favourites. I thought this showed great attention to detail. I love the strong textured shadow and fineness of the line around the outside. I love the strength and energy in Laura’s work. It is bold, confident an energetic, and the stripes in the background add both interest and a fun graphic quality. They also help to place the object in a location. 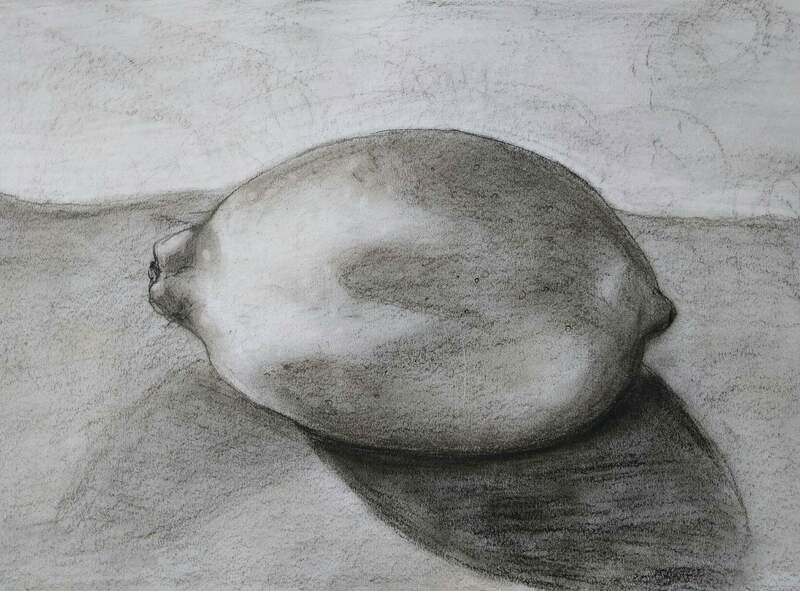 There is a sweetness and simplicity to Evie’s drawing that I found pleasing. I like the fact that it doesn’t look too finished or overworked. It has a real lightness of touch. I think Helen’s piece has real charm. I love the decision to include the leaves and the fact that it is slightly off centre. It’s a sweet drawing which makes me happy. I think this piece shows real skill and a huge amount of effort. 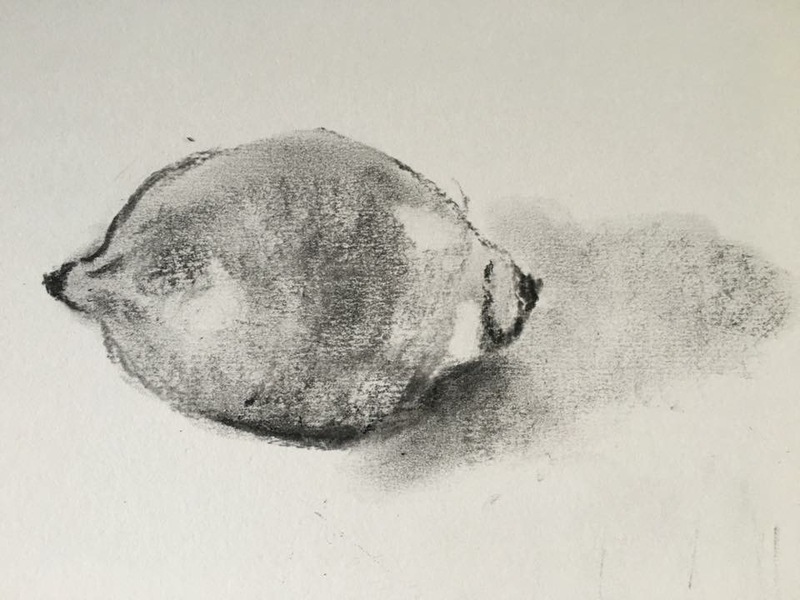 Both lemons look really 3D and yet are slightly stylised. 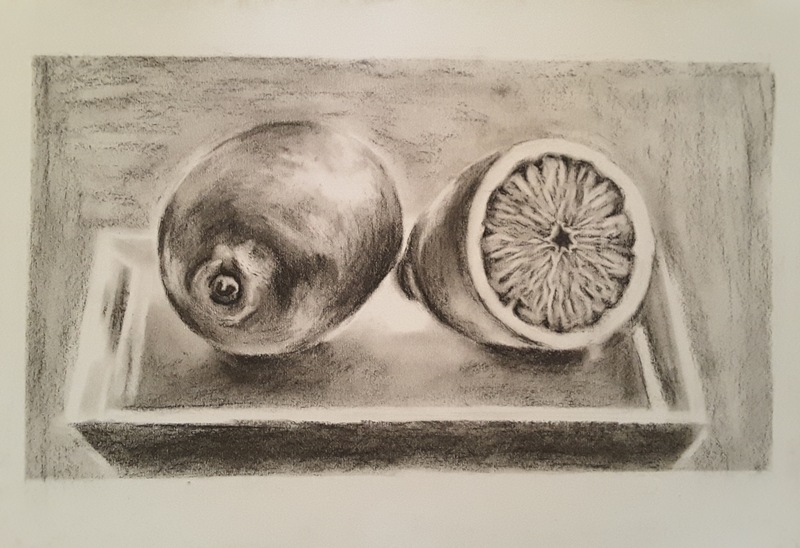 The attention paid to detail on the half lemon is really impressive, and the strong-almost-symmetrical composition makes it pleasing to the eye. Again, thanks to everyone who entered. I will be posting details of August’s competition soon!